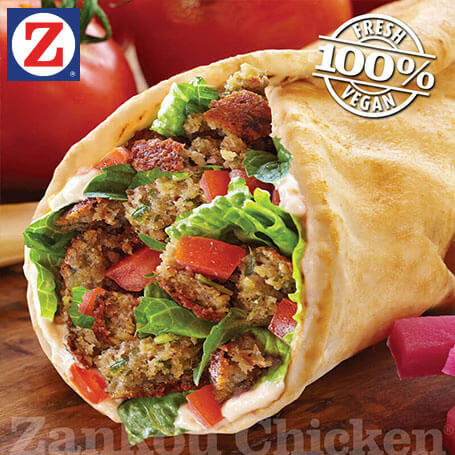 Made to order, our golden and crispy falafel is always fresh. Enjoy your delicious falafel hot, served with hand sliced tomatoes, fresh romaine lettuce, pickled turnips, hummus, house-made tahini, and warm pita bread. 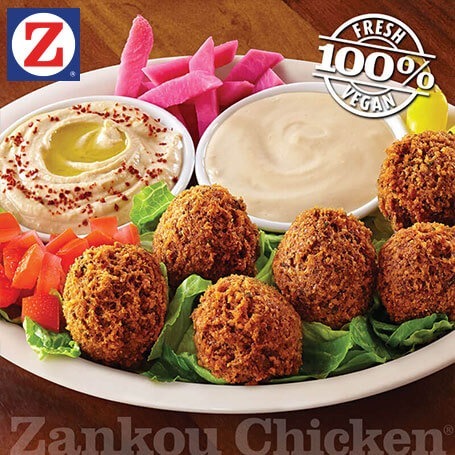 FALAFEL PLATE: Now made fresh to order! Five pieces of falafel served with hummus, tahini, tomatoes, romaine lettuce, pickles and pita bread. *Falafel is prepared in peanut oil.